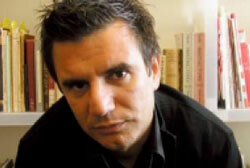 Born in 1971 in Oporto, Portugal. Dino dos Santos studied Graphic Design at the ESAD (Escola Superior de Artes e Design). Since 1994 he has been designing various fonts for magazines and companies.